United States-based tribal gaming claims of the right to offer online poker to international, non-US players are likely to get its first court test soon, following the filing of a suit by Oklahoma’s Cheyenne and Arapaho Tribes nation against the US Department of the Interior. According to local reports from Oklahoma, a state with a strong land-based tribal casino history, the suit also names Secretary of the Interior Sally Jewell and Assistant Secretary of Indian Affairs Kevin Washburn as defendants. 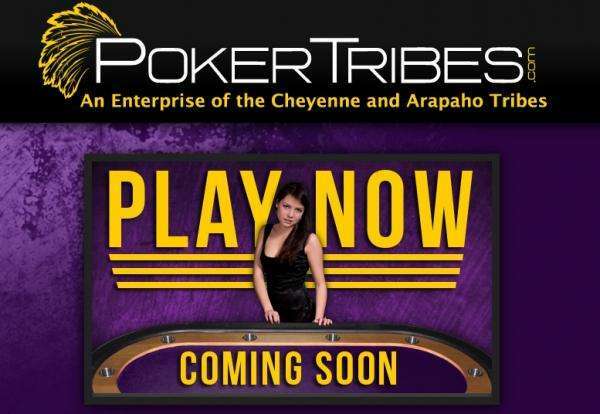 At stake is a compact the Cheyenne and Arapaho Tribes successfully negotiated last spring with Oklahoma gaming officials to allow an international-only poker site for real-money play. 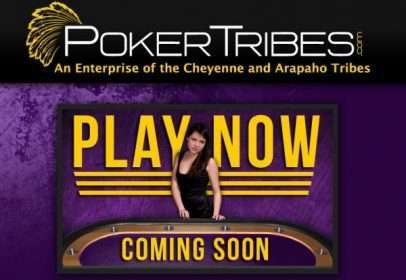 Oklahoma had succeeded in forcing the Cheyenne-and-Arapahos to pull down a play-money poker site then being offered at pokertribes.com, as being in violation of the tribes’ then-existing state compact. Last April 5th, the Cheyenne and Arapaho Tribes (a combined, federal recognized ‘tribe’ of Cheyenne and Arapaho natives that were somewhat forcibly merged in southern Oklahoma in several stages via the United States’ 19th-century forced resettling of many tribal nations) and Oklahoma’s state officials announced a revision to the existing compact, allowing the plan to move forward for real money play on a full-fledged gaming site including poker and casino games, in exchange for the state getting a 20% slice of the proceeds. Since no Oklahoma residents were involved, the plan was something of a freeroll for both sides, pending federal approval from the DOI’s Bureau of Indian Affairs, and even if the plan included no realistic roadmap for drawing a sustainable player base of international players to the pokertribes.com offering. But the Department of Interior agencies said no, and refused to recognize the state-level compact. In the meantime, the Cheyenne-and-Arapahos, who operate four land-based casinos in Oklahoma (two each under the “Lucky Star” and “Feather Warrior” brands), had also signed a deal with Universal Entertainment Group [UEG] for development of the online gaming platform. UEG appears to be a tiny Georgia-based startup with some music-recording interests as well, but no connection whatsoever to giants Universal Studios or NBC. Last week’s filing of the federal lawsuit in Oklahoma City marks the tribe’s first step to attempt to overcome the DOI denial. A report from an Oklahoma paper correctly notes that the April compact was the first such deal negotiated between tribal and state officials, though certainly not the last, and other tribes are exploring similar plans. For instance, the Tribal Gaming Network, an interactive online casino operated in cooperation with several tribes, has been around since at least 2007 in various forms. One iteration of the TGN, perhaps related to that currently being used, involved a major deal involving tribes in 30 states and software powered by the Cake Network, though it appears to have languished and failed to garner critical player mass. Whether or not the Cheyenne-and-Arapahos can garner sufficient player interest to make their site a go remains the biggest unanswered question — and frankly, a major lawsuit drawing plenty of news coverage might be one of the few ways it can be made to work. The problem is, that’s not close to being viable. US-based tribal nations have little hope of wresting away significant market share of non-US players from well established, major European brands, and the only hope to garner significant market share within the US is for the federal government to not only approve online gambling at the federal level (and somehow force the majority of the 50 US states to comply, but to also somehow find a way to give the tribal nations some form of exclusivity. In a nutshell, that’s not happening. Sites such as the Cheyenne-and-Arapaho offering might find a way to get approved, but they’re not likely to become major players in the international market. There’s no way around that. The advent of tribal casinos was fondly referred to as the “new buffalo” for the billions it brought to some – but not all — tribal interests, and many of these same tribal interests believe that the online version of these same casinos can somehow be turned into another “new buffalo” as well. But the core disconnect regarding internet-based business is that it recognizes no artificial boundaries, as countless major business interests have already discovered. The Cheyenne and Arapaho Tribes lawsuit against federal officials is interesting and somewhat notable in terms of poker-world news, but in the long run, it probably won’t matter much. Attorney Richard James Grellner is no longer the Cheyenne & Arapaho Tribal attorney. Grellner now represents Fereidoun Khalilian CEO of Universal Entertainment Group (UEG). The address used for UEG during contract negotiations with the C&A Tribes was out of Las Vegas,Nevada, not Georiga as stated in this article.